Walla Walla, Washington is in the southeast corner of Washington state. I was the middle of three boys. At the time of my birth, my family was living on a farm north of Walla Walla. We stayed there until war clouds started to loom. My aunt convinced us to move to rural Benson, Louisiana in the middle of the cotton and sugar cane fields, a place my family deemed safer for kids since the Japanese were close to the west coast. I went to the first grade there while our military forces were destroying the Japanese empire and the Nazi war machine. When my parents were convinced that no Japanese would invade our home, we moved us to Waitsburg, Washington (to a wheat farm that my paternal grandfather had purchased to keep Dad out of the war – as farmers were exempt from the draft). 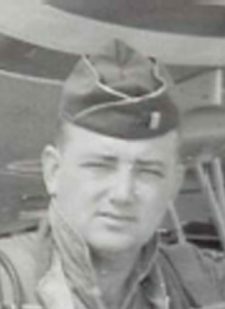 Dad had already served in the military and though he wanted to continue, a fracture in his lower back kept him out of the Air Corps, the Navy, the Army, and the Merchant Marines. After an accident that killed my little brother, we moved to back to Walla Walla where my dad held positions with United and Empire Airlines. 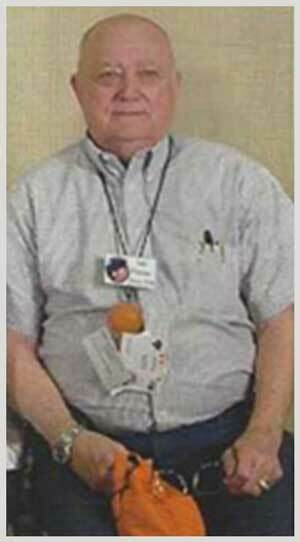 He was eventually transferred to Boise for Empire and then to Pueblo, Colorado for a position with a new company. 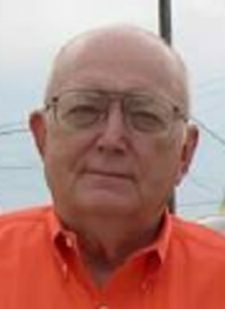 In High School, three buddies, Roger Worley, Hugh Williams and Marsh Ramey joined the high school ROTC unit and after graduation, Roger, Hugh and I joined the 190th Fighter Interceptor Squadron as motor pool mechanics. Marsh Ramey joined the Army National Guard. 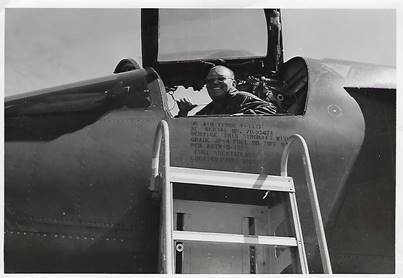 In the summer of 1954, I transferred over to the Regular Air Force. Even though I had a stripe [A/3c] from the ANG, I would have to travel to Lackland AFB, San Antonio, Texas to compete Air Force basic training. Along with 73 other guys, I was put into Flight 880 for training. Oddly, I was the only one out of 74 basic trainees that had military training. The Junior ROTC in high school had been beneficial. Because of this, I was 2nd in charge of my flight [the No. 1 trainee was 34 years old and the Tactical Instructor though he should have some responsibility even if he didn’t have any military experience]. About half way through training, I learned that I could take the test for Aviation Cadets, the Air Force flying program. I took the test, both academic and physical, passed them and went on to finish up basic training. For most of us in Flight 880, there were no follow-on assignments, so we were put to work in the various dining halls as cooks and bakers. After about six weeks, we were all put on a bus and taken to Sheppard AFB, Wichita Falls, Texas to be medics. Once there, my assignment was to Ward 411, a closed psychiatrist ward. No training. I was giving a white shirt and white pants, the uniform of a hospital medic, and reported to the ward. 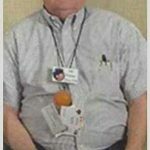 I did not like working on the ward and was really, really happy after about a year when my orders came down to report back to Lackland AFB for Aviation Cadet training. Back at Lackland, as Aviation Cadets, we had significant military training along with aeronautical ground school for three months. The first six weeks were as underclassmen and the second six weeks as upper classmen. Finishing the initial part of Aviation Cadets at Lackland, we were farmed out to various Primary Flying School bases around the states. I went to Stallings Air Base in Kinston, NC where we met up with the other half or our class, officers who also attending flying school in class 57-K. Within a week after arrival, we started our flying lessons in the PA-18, a 108 hp Piper Cub along with academic lessons. After soloing the PA-18, we transitioned into the T-28 “Trojan,” a 650 hp, low wing airplane with a retractable gear, flaps, controllable propeller and radio. Primary training took about six months and we were again divided up and sent to other Air Force bases for jet training. My base was Laughlin Air Force Base where we were to fly the T-33, a single engine, two place, tandem seated airplane. More academics and plenty of flying, including instrument training. As Aviation Cadets, we were graded on our military bearing, our academic record and our flying skills. The final flying test was a complex instrument sortie and I managed to get the highest grade in my class [of about 70]. Along with my academic scores and military bearing scores, I graduated number 7 in my class and was awarded a Distinguished Graduate certificate. At the end of the jet training, we were awarded our pilot wings and sent on for advanced training. Because of my class standing, I was able to pick the assignment that I wanted: F-86F training at Williams AFB, near Phoenix, AZ. 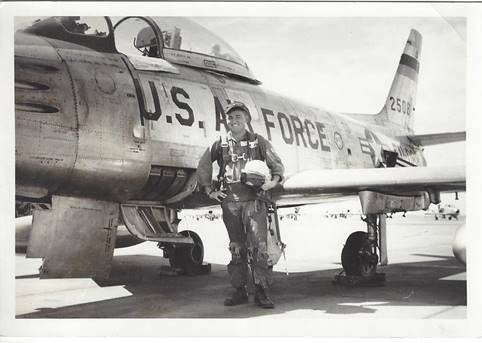 At Williams, my class received more instrument training and introduced to gunnery in both the T-33 and the F-86. The gunnery consisted of strafing, skip bombing, dive bombing and rocket delivery. The course was 3 months long and after graduation, I was assigned to Seymour Johnson AFB [SJAFB], Goldsboro, NC where we had F-86Hs. The F-86H looked like the F-86F but was half again as large and had a more powerful engine. Of all the airplanes I flew in the Air Force, the F-86H was my favorite. In 1959, we received an old model of the F-100, called the F-100C, to mark time until we were equipped with the F-105. The F-100C was okay but not nearly as nimble as the F-86H. 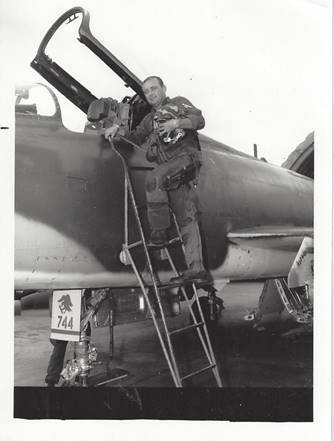 After about 2 3/4 years, I was transferred to Misawa AB, Japan where we flew the F-100D, a later version of the F-100. We had a nuclear commitment where we pulled alert, on average, one week out of four at Kunsan AB, Korea. No nuclear bombs were allowed in Japan, or so they told us. My tour was for 2 years, but as my 2 years were approaching, our pilots were getting non-flying assignments when they rotated back to the States, so I volunteered to stay an extra year in hopes of a flying assignment. My last six months in Asia were spent at Song Be, Viet Nam as an advisor the Vietnamese Air Force [Air Liaison Officer] and as a Forward Air Controller [FAC] flying the L-19 Birddog. Returning to Misawa AB just in time to get recurrent in the F-100, I left for my next assignment as an instructor pilot at Luke AFB, west of Phoenix, AZ. 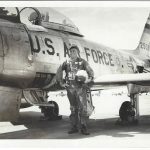 I spent a little over 4 years at Luke; the first two years instructing pilots new to the F-100 in the entire spectrum of weapons delivery including nuclear delivery. My last two years at Luke was training operational F-100 pilots to be instructors. Leaving Luke in 1967, my next assignment was a one year’s duty as a strike pilot in the 614th TFS at Phan Rang, Republic of Viet Nam [RVN]. 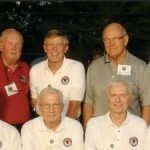 LCOL Ken Miles was the Commander. Our duties at Phan Rang were to destroy Viet Cong and regular North Vietnamese infrastructure and personnel in South Viet Nam and occasionally Cambodia. My next assignment came down to the 1141st Special Activities Squadron, Ramstein AB, Germany. “Special Activities Squadron” sounded like the “Special Operations Group,” a counter-insurgency program we had in SEA, so I didn’t question the assignment. Arriving at Ramstein, I learned I was to be a staff officer in NATO, so I went to personnel and put in for an immediate transfer to F-105 training. The personal people were quite solid in their answer: “you’ve got two years here and once your two years is up, you can put in for anything you like. I spent two years doing useless paperwork. When my two years was drawing to a close, I again put in for F-105 training and subsequent deployment to SEA. This time personnel said, “you have over 2,000 hours in the F-100. If you want to go back to the war, you’ll have to go in the F-100.” So, I did. Same base, different squadron and eyes that were two years older flying many night, close air support missions with TIC [troops in contact]. For my next assignment, I had put in for A-7s at England AFB, Louisiana, but got F-111s at Mountain Home AFB [MHAFB], Idaho instead. My squadron operations officer and I were picked for the assignment, but unfortunately, the assignment by-passed our Wing Commander and he raised holy hell when he found out about it and cancelled it. About six months later, the 474th TFW at Takhli Royal Thai AFB needed crews and this time the commander didn’t object to me taking the assignment. We were there for about six months and then returned to MHAFB. 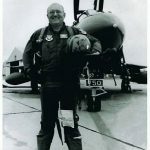 A few months later, I was called into to see the Director of Operations officer, Col. Slip Arthur, and told that since I did not have a college degree, I could never be a squadron commander in the Tactical Air Command [TAC] but I could become one if I would volunteer for an F-111 assignment at Korat Royal Thai AFB. I did and was appointed as commander of the 428th TFS. After the assignment was over, I was once again transferred to MHAFB and was able to obtain a 4 month permissive TDY [temporary duty] to Park College, MO to obtain my under graduate degree and graduate, by correspondence, from the Industrial College of the Armed Forces [ICAF]. When I returned, The DO sent me to RAF Lakenheath, England to head up the ADVON [Advanced Deployment] since the F-111Fs we had at MHAFB were being transferred en masse to Lakenheath. My permanent job at Lakenheath was Chief of the Command Post, a job that I hated. But while Chief, I was promoted to Colonel [O-6] and transferred once again to Ramstein AB, FGR. The assignment at Ramstein was a staff position that I did not like and since I did not have to extend my assignment because of my promotion, I took another staff job at Bergstrom AFB, Texas. 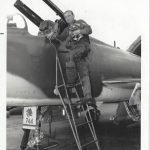 When there, a good friend, Russ Violett, was able to get me back on flying status that I took advantage of by flying F-4Cs with the Texas ANG. A devastating inner ear problem stopped my flying and I was medically retired. We decided to stay in the Bergstrom area in Texas, near Austin, because the hot humid atmosphere seemed to ease the pain of arthritis that I was developing. Vertigo and loss of hearing were a problem I had to deal with a couple of times a week, but I was able to finish another Bachelor’s Degree at Southwest Texas State College, now called Texas State College at San Marcos. We bought 46 acres out in the woods near Lockhart, Texas. Since Jimmy Carter looked like he would ruin the economy, we laid in 2 cows with one calf each, chickens and planted a large garden. We lived there for 13 years. Of course Carter was defeated in election and things were looking better, so we moved to Georgetown, Texas and have been there ever since. 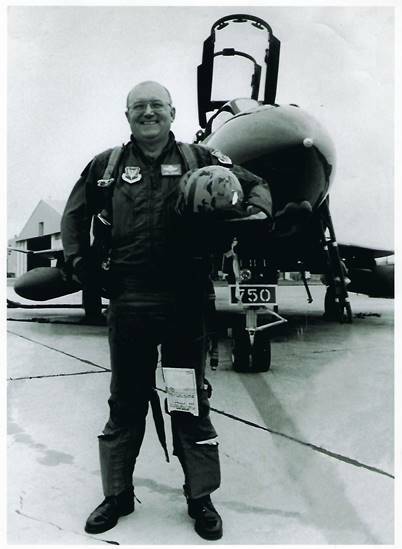 Col. Les Frazier is the founder of the Super Sabre Society. To see Les’ collection of pilot wings, click here. 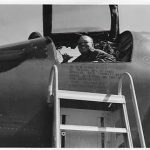 To see flying stories written by Colonel Frazier, click here.